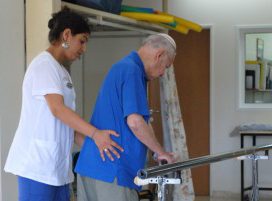 Life expectancy in Israel has increased and with the arrival of large numbers of elderly immigrants in Israel, the medical needs of the elderly continue to grow. Herzog’s Geriatric Division has developed rapidly over the years in response to these needs. This division includes Internal Medicine, Physical Rehabilitation, Respiratory Support, Complex Nursing, Osteoporosis, and those suffering from Alzheimer’s Disease, Parkinson’s Disease and other dementias.